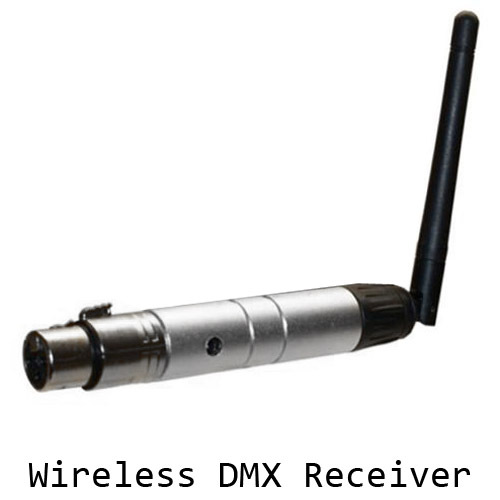 Get a powerhouse in a tiny package with the WiDMX Wireless DMX Receiver! Not much bigger than a standard XLR connector, the WiDMX releases you from the crushing chains of cable-fed DMX lighting. This receiver plugs straight into your DMX light and receives data from the WiDMX transmitter. One transmitter can communicate with multiple receivers. WiDMX features 512 auto-assigning frequencies in 7 groups allowing up to 7 systems to run simultaneously in the same space, completely free of interference! Plus, despite its small size, the WiDMX is one powerful system, capable of reliable wireless communication for over 1000 feet, line-of-sight!